So I copied this recipe for chicken but made it with the weird offcut bits of backsteak (that come off the shoulder, you know that little strip you end up with when you cut the sinue off?) and other bits I hacked off a fallow a while ago before I was okay at butchery. Anyway, I have a couple of bags of those labelled "stir fry" but the stir fry thing is getting old.. I went one further and made the pita bread from scratch. 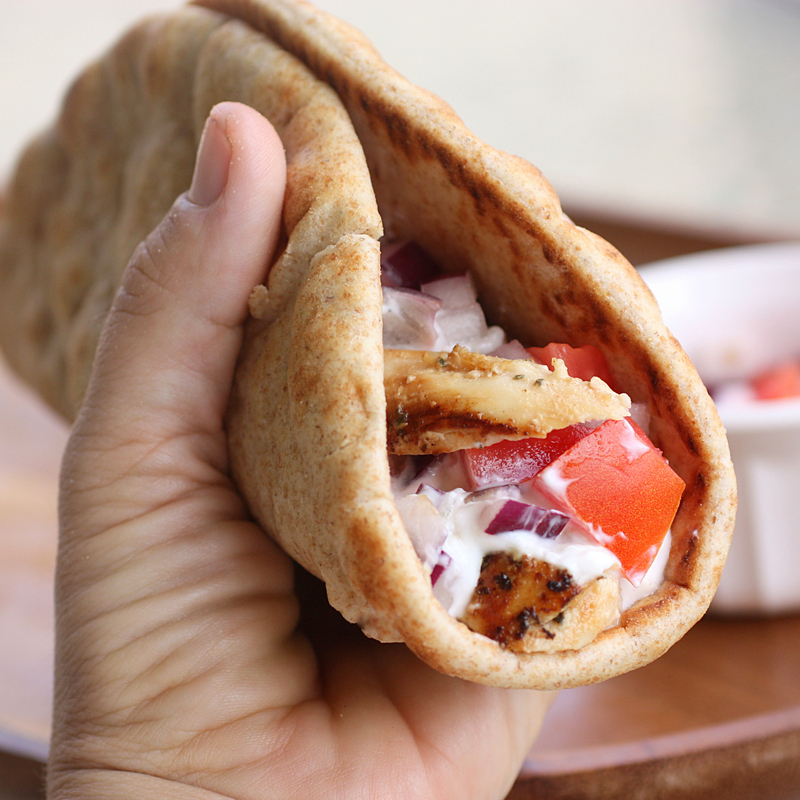 CHICKEN (VENI) GYROS - OPA! ◦Red onion, sliced thin and I also added shredded lettuce. 1.Shred the cucumber or chop in food processor. Wrap in a towel a squeeze to remove as much water as possible. Mix together the yogurt, shredded cucumber, garlic, white wine vinegar, salt and pepper to taste, and lemon juice. Drizzle lightly with olive oil. 2.Refrigerate for at least 30 minutes before serving to allow the flavours to meld. 3.To prepare the meat, combine the garlic, lemon juice, red wine vinegar, olive oil, yogurt, oregano, and salt and pepper to taste in a medium bowl. Whisk together until mixed well. Add the meat pieces to the bowl and mix well to coat. Cover and refrigerate for about 1 hour. 4.Cook the chicken as desired, either in the skillet or with the broiler. Once the chicken is completely cooked through, transfer to a plate and let rest for 5 minutes. Pics to come in a tick. Here's a pic of the chicken guy from the website. EDIT - sorry my camera is locked under the bed manned by a snoring beast, will upload photos tonight. veitnamcam, Marty Henry and oneshot like this. Why would you do that to a deer? 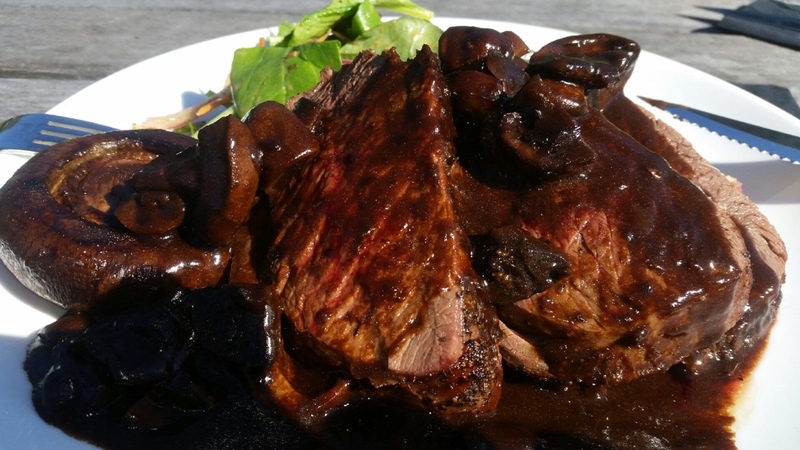 Venison deserves to taste like venison. Now I can understand why you would do that to a chicken. Whoa freeze me a meal and courier it to me!! Looks good to me, some of us get sick of plain old venison eh Dougie. sako75, veitnamcam, big_foot and 2 others like this. Its pronounced yeh ross if anyones interested. You may not be "picky" enough about which ones you shoot, or choose to eat. Yearlings or young hinds putting on condition generally tho I did cull a hind that must have been 80 a while back... she was all salami and sausages. I think I'll put myself on dinner duty Thursday. Some of us have venison flowing out our ears so a bit of different flavours are a good change. I shall try this Dougie. Ermgherd YESS. Also, @7mmsaum put me onto this a few months ago....peanut satay venison. You'll never eat chicken again. I did peanut satay venny kebabs on the bbq a couple weeks back. amazing!! Peanuts are for feeding elephants and monkeys at the zoo. EeeBees and Gibo like this.